We love Annapolis! The back-to-back U.S. Sailboat & Powerboat Shows are underway in Maryland's fair City by the Sea, and we can't wait to head back for our second year. The 2016 Annapolis Boat Show doubleheader promises to be a force to be reckoned with, with hundreds of boats and vendors as well as contests, sea trials, and seminars. So buy your tickets (and enter to win a free pair to VIP Day, on us) and come say hello! Full disclosure: This is my first time attending an Annapolis Boat Show, but I have it on full authority that it's going to be completely magical. 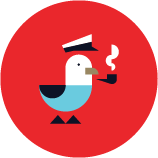 Hopping on boats, talking to Dockwa boaters, demoing the app – that's like Christmas for this team. If we get to top that all off with a cruise on the Pusser's Painkiller Party Barge (and/or a Gunboat), we'll be in boat show heaven. Okay Annapolis, you had us at "free cocktail and wine tastings," but we're obviously also intrigued by the new boats premiering at the show, as well as the free sailing seminars and special performance racing boat section. Boaters in the Chesapeake area, stop by! Purchase your tickets to the U.S. Sailboat Show here. With boats from more than 40 manufacturers and 100 fishing boats lined up side by side, the U.S. Powerboat show is a boat-buyer's playground. 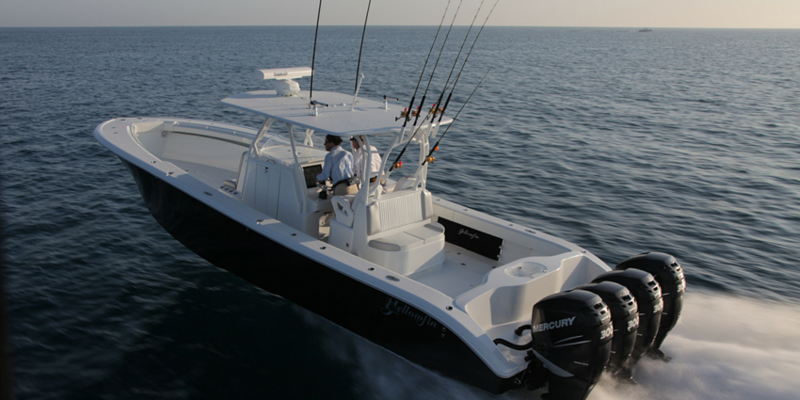 Attendees will have a chance to meet Captain Paul Hebert of "Wicked Tuna," get a feel for their next boat with an on-site sea trial, and enter to win a EdgeWater 170CC Deep-V Center Console just by buying tickets. 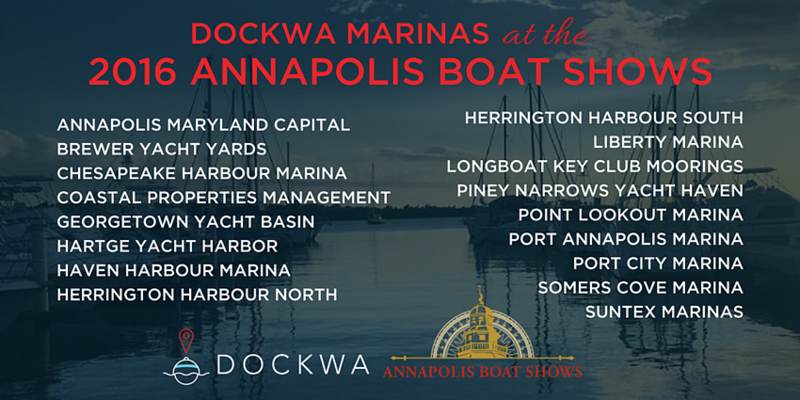 Hopping on and off boats can be luxuriously taxing, but if you're sticking around after the first weekend or arriving early for the second one, you can get yourself grounded with some of the excellent seminars the Annapolis Boat Show organizers have brought together. Covering everything from "Choosing Your First Boat" to "Cruising Together 24/7" (that escalated quickly...), these classes will ensure that you come away from the boat shows more knowledgeable and confident on your topic of choice. Click here for the list of course descriptions. Marinas who use Dockwa to manage reservations are leaders in the industry, working with our cutting-edge technology to forge a network of tech-savvy marinas and boaters. We encourage you to visit their booths at the boat show to learn more about their services and seasonal slips. Also be sure to visit the BoatUS booth and congratulate the team on 50 years of boater stewardship! Since partnering with them one year ago, thousands of Dockwa boaters have had their BoatUS discounts automatically applied to their reservations at marinas around the country. But this organization – now more than 500,000 strong – goes well above and beyond discounts; click here for more information on the benefits of joining BoatUS. Meet the Dockwa team & Win big! We'll be on-site for the U.S. Powerboat Show October 13-16 at Tent A5, giving out Dockwa swag, demoing the app, and fielding your questions, suggestions, and glowing praise. Swing by to say hi and enter to win an awesome YETI cooler! Click here to enter to win a pair of VIP tickets to the U.S. Sailboat Show!